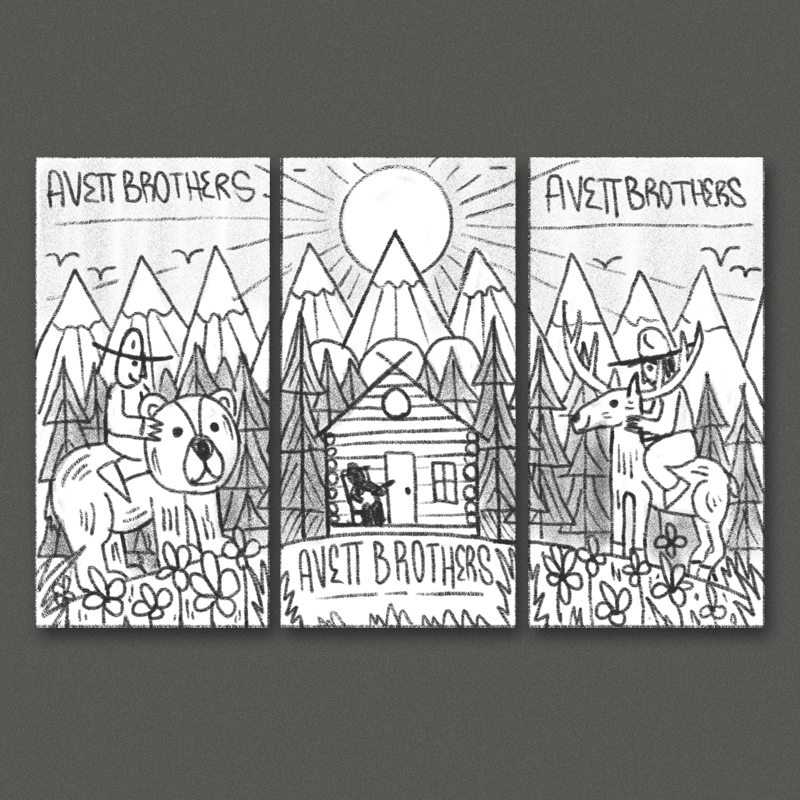 Here's the finished art for the tryptich - it's set up to be a 3 color print, should look killer printed up! This would be a segmented design with a cool frame separating all the elements. A cool simple landscape up top - and then the focus of each poster is a different animal surrounded by a lush background of local flowers and other greenery. I think a southwest inspired color palette could be really cool here. I think stylistically something like this Jackson poster we did last year could be a great aesthetic here! This direction would be more of a continuous image/landscape concept. In the center we have a simple rustic cabin with a figure playing guitar on the porch - On either side a couple guys are riding up on a bear and an elk, with some nice dense foliage surrounding everything. I think a more geometric illustration style could be really cool here, something sort of vintage-inspired.